Each quarter receive Mamalani products along with other curated products. A new theme each month will highlight a native practice or plant that is essential to health along with a recipe on how to go native in other areas of life. 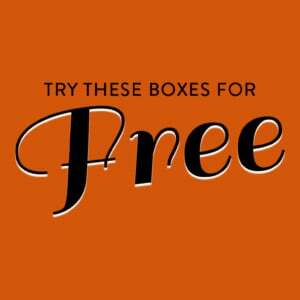 The Subscription Box: Go Native! Good to Know: Go Native! is now a quarterly box! This is the first box from this new format. This month’s card mentions a focus on local Hawaiian food. Hawaii has to import 90% of its food which is a ton compared to the rest of the US. It also describes the first item in this box. On the back of the card, you’ll find a continuing list of the items and a short description of each. I always love a good oil roller and though this might not be a scent I would have picked for myself, I do still like it. It is a bright and zingy blend of lemongrass, orange, peppermint, and frankincense. I think the peppermint might be what I don’t love, but I could see this scent growing on me. You can use it on your neck, wrists, and temples. I thought the packaging was beautiful! I found that though this body powder had a great scent featuring grapefruit, lavender, and sage, it was rather gritty which was a turn off for me. The details suggest using it under your armpits, on your body, and in your shoes. I find venison rather gamey, but my husband loves it. He really enjoyed this jerky treat, especially the bold pepper flavor. He mentioned that you could absolutely tell it was deer meat and was surprised that Hawaii has a deer population to make jerky from. We did some research and discovered that Axis deer this jerky was made from is considered invasive in Hawaii, and was introduced to the islands back in 1868 and again in the 1920s. The company that manufactures this product sees it’s mission as population control to improve the island’s ecosystems. Honey in a bag is GENIUS! It totally takes away the mess than using a spoon and jar creates and is so much more portable than a leaky squeeze bottle. This honey is super floral and oh so sweet. I loved it when added to my tea and again when I used it on some freshly made biscuits with some butter. This family-owned company cares for over 1500 (!!!) hives and continues to grow year after year because their distinctly floral honey is so popular. Verdict: This first quarterly Go Native! was a mixed bag for me personally. This subscription has always been pretty specific though, and it is possible this just wasn’t my favorite assortment of items. The oil is high quality and very fragrant, though the scent just isn’t for me. The powder smelled wonderful but for me, the texture was off. My husband loved the jerky and I absolutely adored the honey. If you are vegan though, this box will really miss the mark! The retail items on the info card seemed inflated, which is something I never enjoy, but I hope that as this sub is in a new quarterly format, these might be kinks that work themselves out along the way. This box has an estimated retail value of $39.95 which is not great at all for a box that costs $48.00 ($42.00 plus $6.00 shipping). When I read that this subscription was going to a quarterly model I was super excited for more products at better values, but this box just wasn’t there. Hopefully next quarter will be an improvement. Can you still get this box if you sign up today? It may be possible since this is a quarterly box. Value Breakdown: This box costs $42 + $6.00 shipping, which means that each of the 4 items in the box has an average cost of $12.00. Check out all of our Go Native! 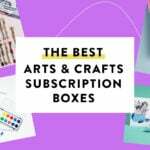 reviews and the Beauty Subscription Box Directory and Artisan Subscription Box Directory for other handmade and local boxes! What do you like best from this quarter’s Go Native!? How do subscribers rate Go Native! Hawaiian Beauty? Do you subscribe to Go Native! Hawaiian Beauty? Add your rating now! Thank you for the honest review. I use to sub but was not impressed. The value is never there & had customer service problems. Love the idea, hope it improves. You are welcome Jen! I appreciate you reading.I hope next month is a little more of a WOW. What an odd curation. Can’t imagine spending $50 on this. It wasn’t my fave from this sub, but hopefully it is incredible next quarter! The link on how the deer are invasive is to the venison company itself, so take that with a grain of salt. Ah, the rationalizations of hunters: We’re doing a SERVICE for everyone when we shoot ’em! Aww that made my night Noelle! Thanks for reading!